When choosing a memory kit to run in your computer, you shouldn’t take that choice lightly. Your RAM is basically the backbone of your system that enables everything to run buttery smooth. Should you decide to go with a smaller RAM kit, such as 4GB, you may not be able to keep too many programs running at the same time. If you choose you want something larger, like the Patriot Viper 32GB kit that we are going to be looking at in this review, then you have the freedom to run virtually all the programs you could want at the same time! 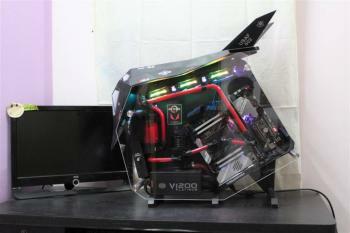 via Patriot Viper 32GB PC3-17000 2133Mhz DDR3 Memory Kit Review | Technology X.